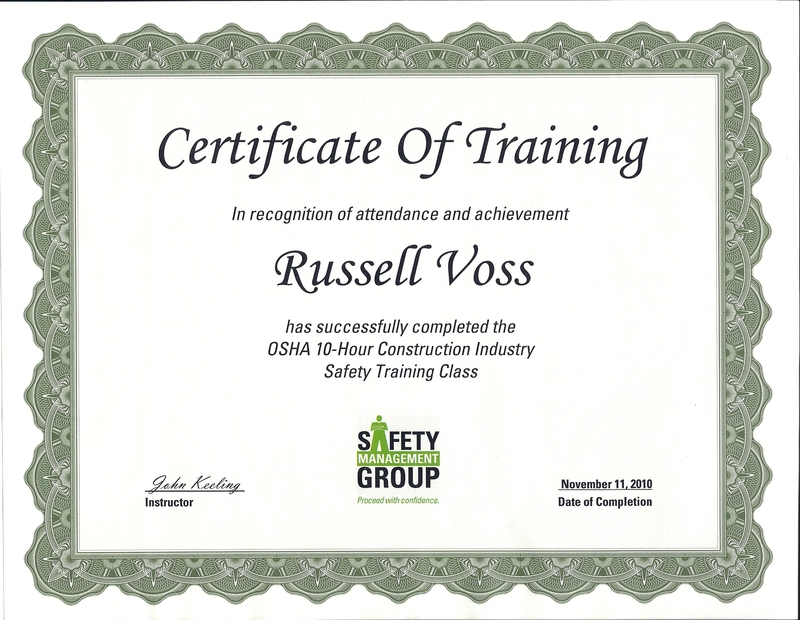 Congratulations to Russell Voss for successfully completing OSHA 10 Hour Safety Training through Associated Builders and Contractors of Indiana (ABC). 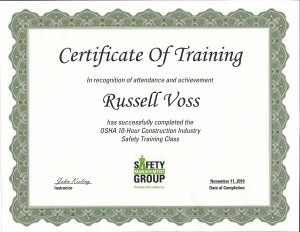 Easterday Construction is committed to safety and we appreciate Russell stepping up to take this training. We look forward to his help in keeping our job sites safe.